Vantex Ni-Cd batteries are at the heart of power backup systems throughout the oil and gas exploration and production, utility and manufacturing industries. If main power is lost, Vantex nickel-cadmium battery ensures the continuity of mission-critical loads, facilitates safe shutdown processes, bridges to standby power and safeguards computer data. Typical power backup applications include UPS, substation switchgears, process control systems, emergency lighting, fire alarms and security systems. Vantex is the maintenance-free* pocket plate nickel-cadmium battery in the Alcad range. 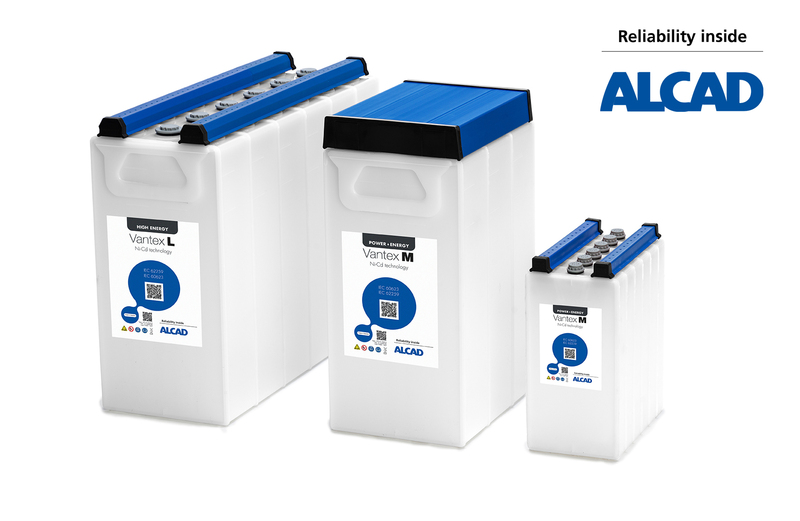 Vantex design is based on the robust construction and unique electrochemistry that have enabled Alcad to establish an unrivalled track record for reliability, long life and low TCO (Total Cost of Ownership). Besides, the latest generation of Vantex nickel pocket plate battery technology is the perfect fit to replace lead-acid batteries thanks to its 1.39 V/cell single level charge. When a fast recharge is needed, 95% State-Of-Charge (SOC) in 8h can be reached 1.45 V/cell for minimal downtime and optimal availability. * The term “maintenance-free” means that no addition of water is necessary during the service life of the product when operating under Alcad’s recommended conditions.